Free Shipping Included! 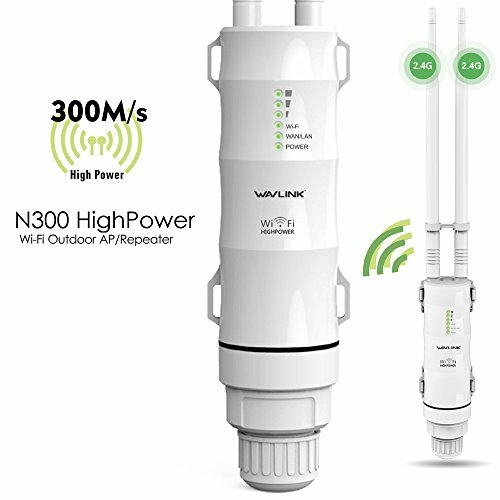 300Mbps Wireless Access Point, Wavlink High Power N300 Outdoor PoE WiFi Range Extender/Router/Repeater/WiFi Signal Booster Weatherproof with 1000mW Omni-Directional Antennas(Newest) by WAVLINK at Pacs BG. MPN: 4335291562. Hurry! Limited time offer. Offer valid only while supplies last.